January is one of the busiest times of the year at MyBudget. We'll receive hundreds of phone calls a week from people experiencing a debt hangover from Christmas and New Year. Many will be bracing themselves for a big credit card bill. Some will have maxed out their cards or overdrawn their accounts. School fees will be due soon, too. Short of money, many people will feel that their only option is to approach pawnbrokers and payday lenders for a quick loan. I know it's a sobering topic, but it’s important to talk about the pitfalls of payday advances and cash loans at a time when many will be experiencing the stress that comes with a cash crunch. A payday loan is a small unsecured loan (usually up to a few thousand dollars) intended for emergency use or to make ends meet during a temporary money shortage. 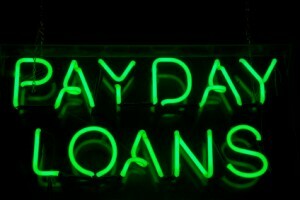 Payday loans get their name because the loan repayments are debited from the borrower’s bank account on their next pay day. Terms usually range from seven to 45 days. The idea is that the borrower will be able to pay back the loan in full from their next pay packet. Payday loans usually have very few application requirements, which make them accessible to people who would not normally meet mainstream lending guidelines. Payday loans are considered high risk to lenders because payday loan borrowers often have poor credit ratings. To offset the risk, lenders charge very high interest rates. In New South Wales and Queensland, the annual percentage rate for payday loans is capped by the state government. In other states, the interest rate on payday loans is unregulated. Shopping for a payday loan is not like shopping for a mortgage or a car loan. The borrower is often under pressure to find a quick fix for a cash crisis. Those people with bad credit are especially vulnerable to accepting whatever deal is offered to them. Most consumers are familiar with loan products (home loans, car loans etc.) that advertise the cost of finance as an annual percentage rate (APR.) However, because payday loans are over a very short term, the repayment amount tends to be stated as a dollar figure. Now, let’s calculate the cost of finance as an annual percentage rate: Divide the finance charge ($160) by the loan amount ($400) = 40% interest. Wow, that's pretty steep. But this is for a two-week loan term (one fortnight), and there are 26 fortnights in a year. 40% x 26 fortnights = 1,040% per annum. You can see why it’s easy for people to fall into a cycle of payday loans. Once in that cycle, many assume that they’ll never get out. The good news is that the debt cycle can be broken. Through budgeting, most people can pay their way out of debt without taking on new loans or further damaging their credit rating. If you or someone you know is experiencing a cash crisis or needs help with a payday loan, please call us. We’re here to help.